It’s not uncommon for the speedometer, as well as the odometer, to lack accuracy after 35 years of use. I took my ’81 RS on a 5 day trip to Duluth, MN last year in May. Shopping at Aerostich was the impetus for the trip. I realized fairly quickly while traveling with two other bikers that the speedometer was significantly off. 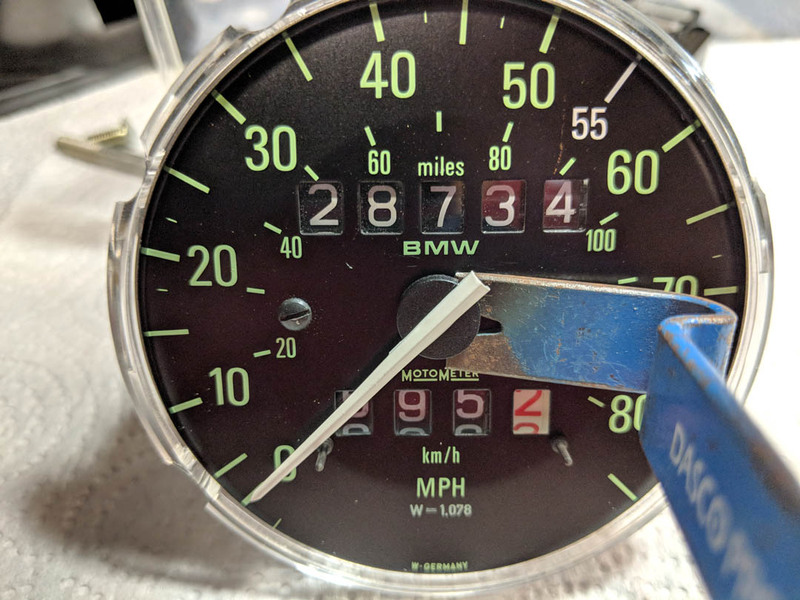 Having previously taken the speedometer apart to address the odometer gear slippage, I had failed to index mark the speedo before removing the needle. My goal now is to adjust the needle position to an accurate spot. I started by removing the speedo and tach unit off the bike. 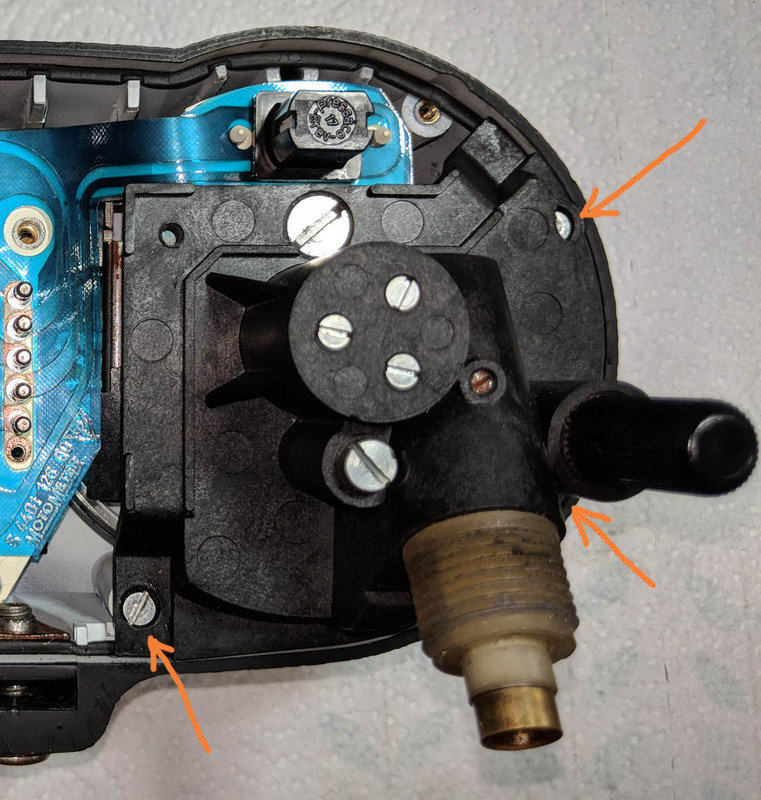 Three screws are loosened on the front of the unit, the speedo cable is removed from the back, and the electrical harness/connector is removed. 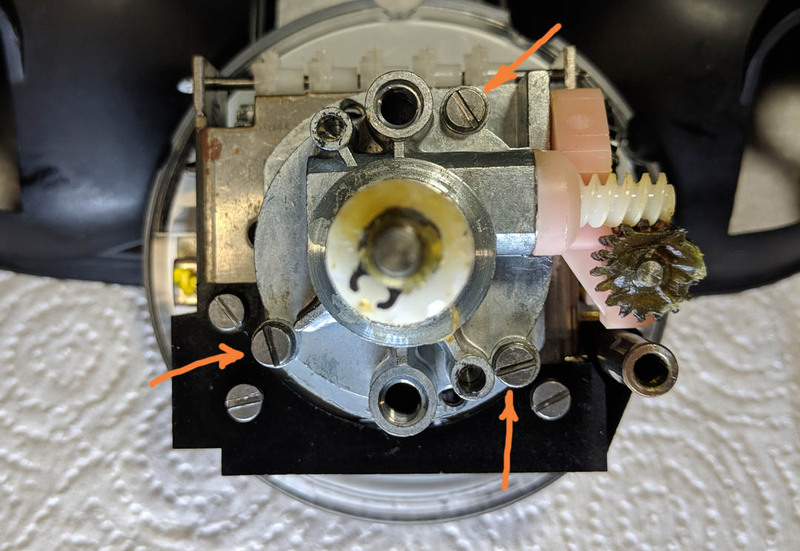 On the backside, these three screws are first removed and the plastic housing removed. The next set of screws removed where these 6 screws. 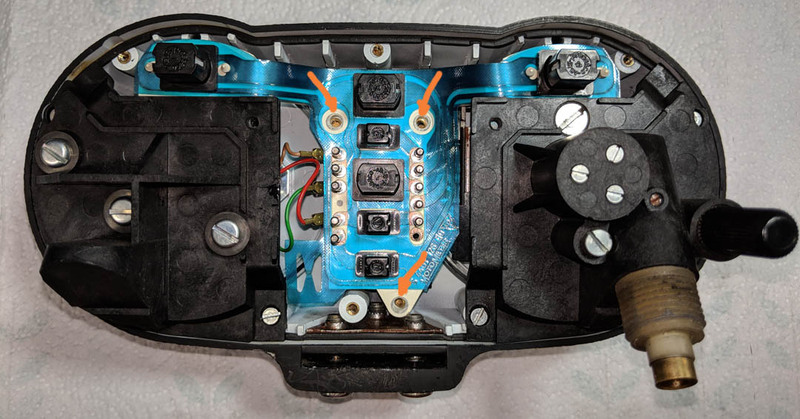 Now the circuit board with the dummy lights can be seen and the three screws holding it in place are removed. The board can be lifted up and turned to the left side without disconnecting the electrical wires. There are three screws holding the speedometer to the case. Those were removed next. With the speedometer unit out of the case, disassembly of the unit can now be done. 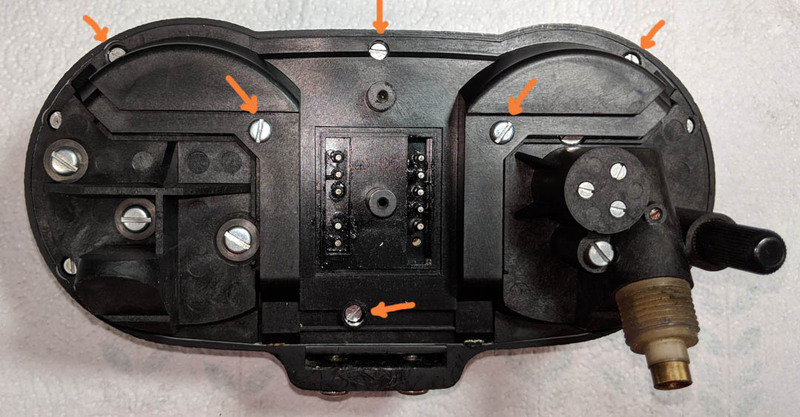 I removed two screws to remove the back of the speedometer. 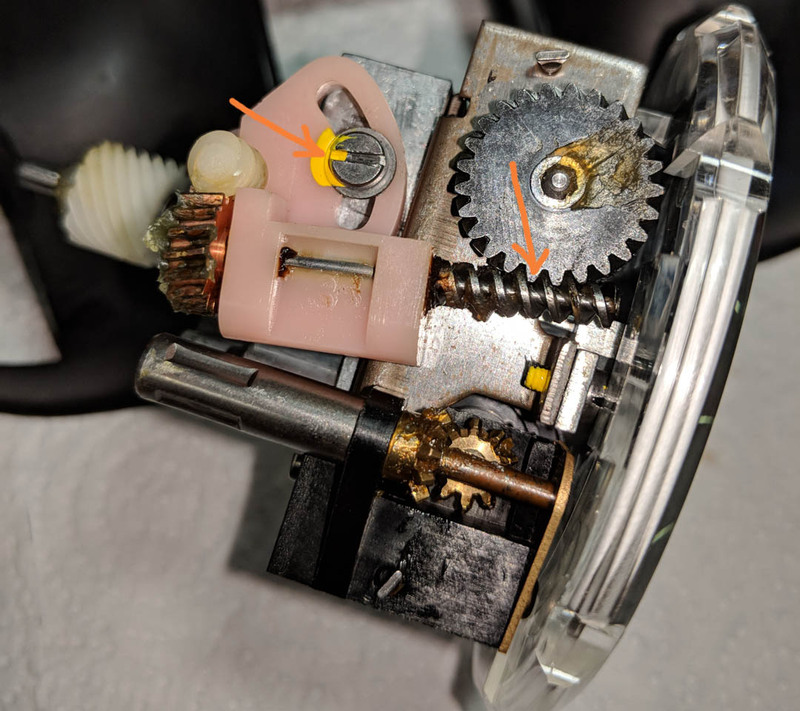 Next, the gear mechanism that works the odometer is removed. Three screws on the back are removed. 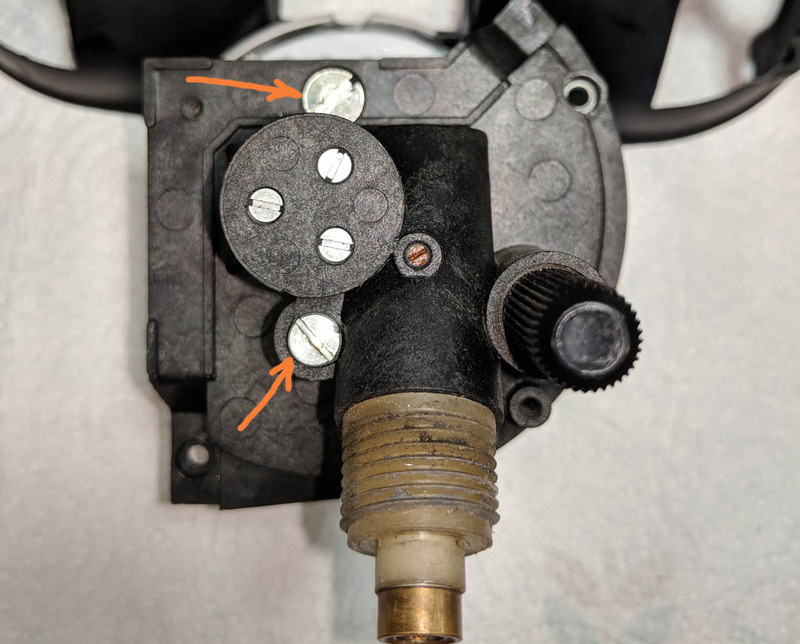 I found there is no need to loosen the gear adjustment set screw on the side. Once the three screws on the back are loose, the gear drive shaft will easily disengage from the odometer gear. Now I’m down to the speed cup where the calibration takes place. 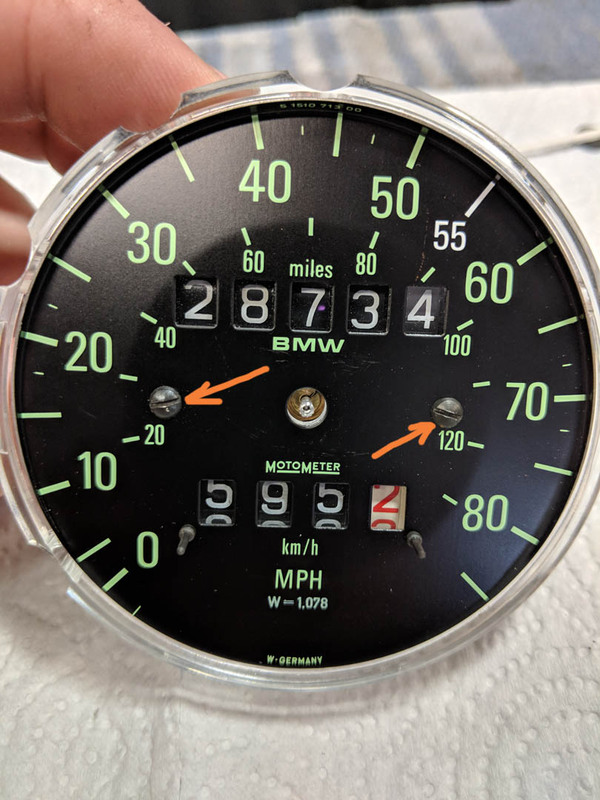 When I previously took the needle off to remove the numbered plate to access the odometer gears, I failed to make a mark on the speed cup to indicate its position when the needle was resting at zero. 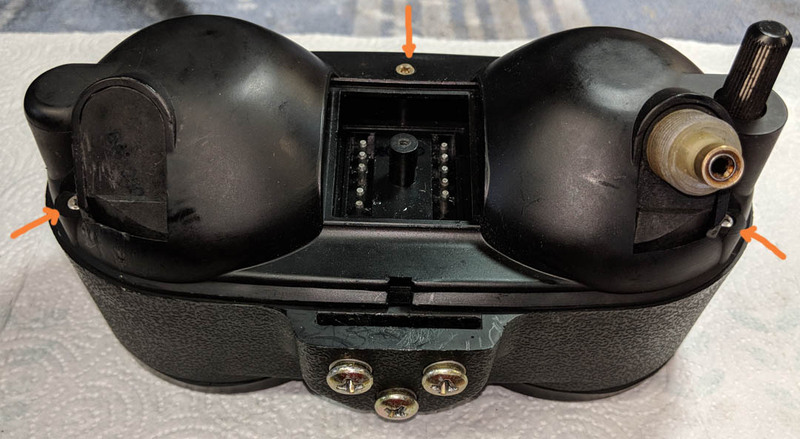 So now I’ve made a number of marks, starting with my best guess as #1, and have put it all back together, rode the bike to test the accuracy with my cell phone, and then keep moving it a bit till I dial it in. I’m now on #3 and have gotten it as close as can be for these inaccurate gauges. I used a Dasco mini pry bar to remove the needle. I pried against one of the faceplate screws to avoid damaging the face. 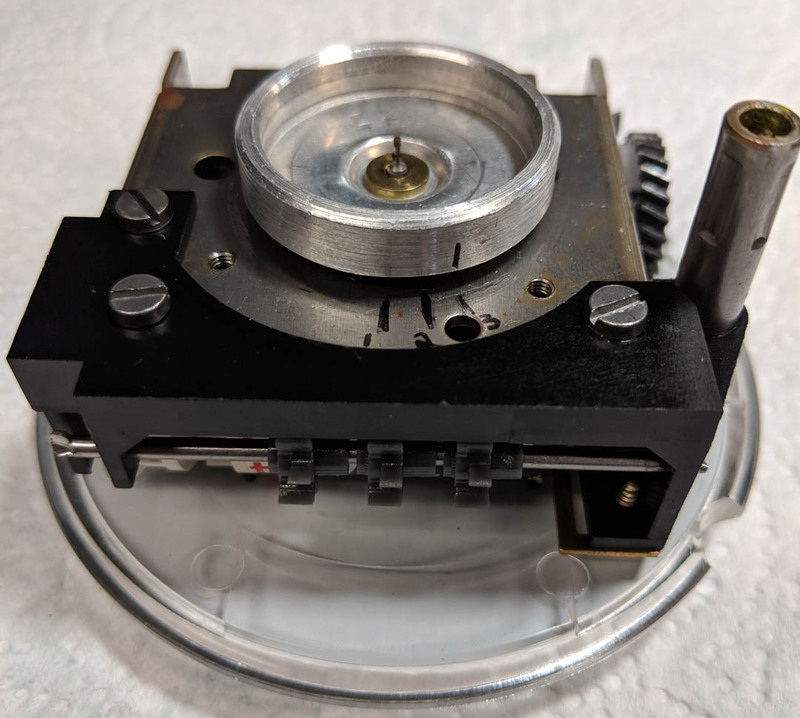 It applies equal pressure on the needle sides and removes it without damaging it. Holding the speed cup on my third mark, I pressed the needle back on the shaft resting it on the pin at zero mph. The whole unit is reassembled in reverse order, making sure the odometer gearing is fully engaged. Great article, but which way decreases variance ? As I moved the index mark on the speed cup counterclockwise, the needle registered a lower speed. It was indicating a speed about 10 mph faster than I was actually going.